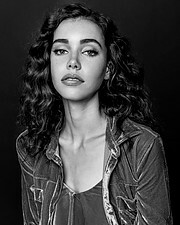 Look Model Agency, established in 1986 by Marie-Christine and George Kollock, it has been at the forefront of the modeling world on the West Coast since inception. With a long list of famous faces, it continues to launch and represent the best. The Look reputation has given San Fran.. This boutique agency represents top male and female models and a Int’l board of models worldwide. Established in Los Angeles over 15 yrs ago, the company headquarters is now in beautiful Newport Beach, by the coast overlooking the water. The company negotiates contracts for work on print shoots, runway show..
Willow Model Management was founded in 2010 and in that short amount of time has already grown into southern California’s most dynamic, boutique modeling agency. Willow models have worked for Michael Kors, Kate Spade, JCPenny, Target, Vanity Fair, GQ, and dozens of other major brands. Willow also works clos..
Blaze Modelz (Or Blaze Model & Talent Management) was founded in 2009 by former Elite Model, Stefanie Blase. Ms Blasé started her career with Elite Model Management NYC at the early age of 16 and was booked for high fashion, print and runway. Throughout her years of modeling with Elite, Blasé would help col..
Exalt is a full-service talent agency representing only the finest professional male, female & child models and actors for fashion, commercial, print & voice over work throughout Northern California & beyond. A full-service, licensed talent agency representing professional actors an..
Slater Models represents men & women. 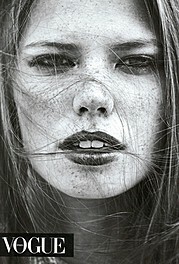 The agency is based in Los Angeles, however represents models in New York and throughout the United States. Images Promotional Modeling agency is a division of Images Marketing Agency dedicated to live events. We represent adults 18 and over and serve clients nationally. From marketing strategy to event execution we have the experience and staff to create your desired Image. Northern California's Premiere Model & Talent Agency. Serving San Francisco and beyond. Cast Images is a full-service licensed talent agency representing models, actors and kids. Established in Northern California in 1991, Cast Images aggressively pursues career growth for our talent and excellent service f..
California › Los Angeles › 9378 Wilshire Blvd. the contact email has errors, change or reactivate it.